The region of Palaiohora in the north central region of the island transports its visitors back seven centuries in time when the island lived under the threat of pirate attacks and frequent foreign invasions. These threats convinced the islanders that moving from the coast to the island’s interior would ensure their safety and prosperity. The site is made up of several semi-preserved churches, as well as a ruined Venetian castle and crumbling houses. Walking down the narrow paths, the only sounds you can hear are the occasional bird singing and your own footsteps. Palaiohora is truly a magical site that offers its visitors a quiet refuge ideal for meditation and reflection. Comparisons have frequently been made between Palaiohora and the remains of a Byzantine city called Mystras outside Sparta. Churches throughout this region include Agios Nikolaos which contains murals almost 700 years old. Another church which frescoes are still preserved is the church of the Metamorphosis which lies just above the path. The principal church of the area was Agia Kiriaki which still houses incredible paintings in its double basilica. These duplicated basilicas found in other churches in the area served as both Orthodox and Catholic chapels to accommodate mixed religion wedding ceremonies between the native Greek islanders and the Venetian settlers. 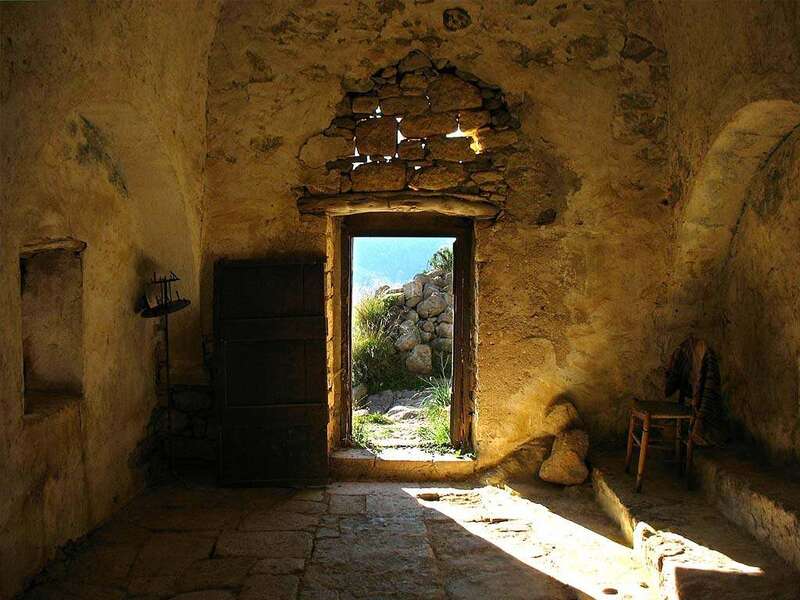 Other noteworthy churches include the chapel of Agios Ioannis the Theologian containing a blue bell tower and dome, as well as the Catherdral of Agios Dionisiou which contains the cell where the former bishop of the island lived. Even if churches aren’t something that normally interest you, Palaiohora is a site not to be missed.